What will President Trump’s first year bring for the continent? 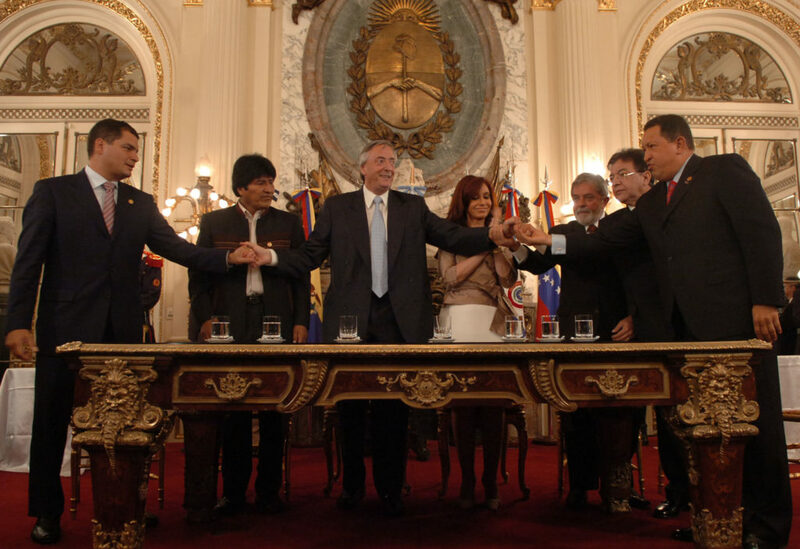 The retreat of the ‘Pink Tide’ – the successive electoral victories of leftist political leaders across Latin America from 1998 to 2015 – will continue in 2017. For almost 20 years, Latin Americans voted for leftist leaders who promised more equally distributed economic policies. Aided by high commodity prices, these politicians led largely successful antipoverty campaigns and introduced generous social security systems. But with economic stagnation and the recent decline in commodity prices, their policies – and hence, positions – have become untenable. In November 2015, Argentina’s left-wing populist movement (Kirchnerismo), lost the presidency it had held since 2003 to former businessman Mauricio Macri. 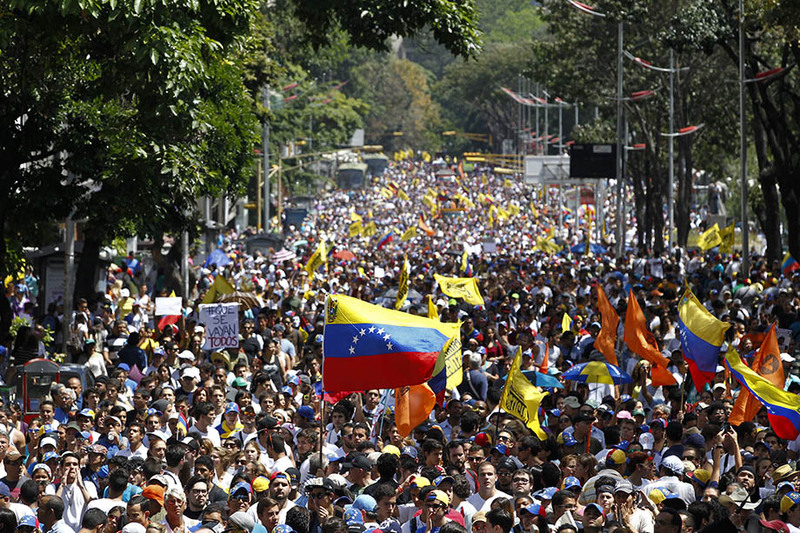 A month later, Venezuelan opposition parties seized the legislature from the ruling United Socialist Party, led by Nicolas Maduro after the death of charismatic former president Hugo Chavez in 2013. In April 2016, Peruvian voters rejected left-of-centre candidates in their presidential election, and Brazil’s leftist president Dilma Rousseff was impeached in September. This trend is likely to continue in 2017. Approval ratings for Ecuador’s Pink Tide president, Rafael Correa, have fallen to their lowest levels in his 10-year presidency. Correa is not seeking a third term and is instead supporting Lenin Moreno, his former vice president. Moreno is currently leading his nearest rival, centre-right banker Guillermo Lasso, by 10 points. However, Moreno is only drawing in one-third of the vote, which is matched or exceeded by the combined support for right-wing candidates. This suggests Moreno faces possible defeat in a second round if right-wing candidates fall in behind Lasso. But with almost half of voters as yet undecided, the election outcome is unclear. Chile’s two-time centre-left president Michelle Bachelet cannot run in the 2017 election as Chile’s constitution prohibits consecutive terms. Corruption scandals, a failed reform program and lacklustre growth have led to disillusion with Chile’s leftist leaders. Consequently, the leftist candidate, 78-year-old former president Ricardo Lagos, is polling at just 5 per cent, well behind the main right-wing candidate, yet another former president Sebastian Pinera, at 22 per cent. There is a chance an independent senator, Alejandro Guillier, will fill the leftist vacuum as an anti-establishment candidate; with 18 per cent support, he is likely to participate in a run-off against Pinera. Other events in 2017 important to the retreat of the Pink Tide include legislative elections in Argentina, in which Macri is hoping to wrest a majority from the Kirchnerismo movement to support his presidency, and ongoing protests against Maduro in Venezuela, where an economic crisis has led to widespread protests and dozens of deaths. A likely consequence of the Pink Tide’s retreat is improved relations with the US, which have been strained under many of the leftist leaders, and a return to free-market, growth-based development programs. Economic policy will be a key issue in the Americas in 2017. Much will depend on whether President-elect Donald Trump follows through with his protectionist-inclined policies. Trump has called the North American Free Trade Agreement (NAFTA), a deal between Canada, Mexico and the US, the “worst trade deal in history”. In particular, Trump has criticised the loss of American manufacturing jobs to Mexico and pushed for revisions to NAFTA under threat of withdrawing the US from the agreement entirely. The situation is complex: the US has a large trade deficit with Mexico and as many as 800,000 American jobs have moved south under NAFTA. However, up to 6 million Americans rely on trade with Mexico. Trump’s rhetoric has also undermined the Mexican peso, making Mexican exports even cheaper – the opposite of what Trump hopes to achieve. This highlights the sensitivity of Mexico’s economy to commentary from the president-elect. 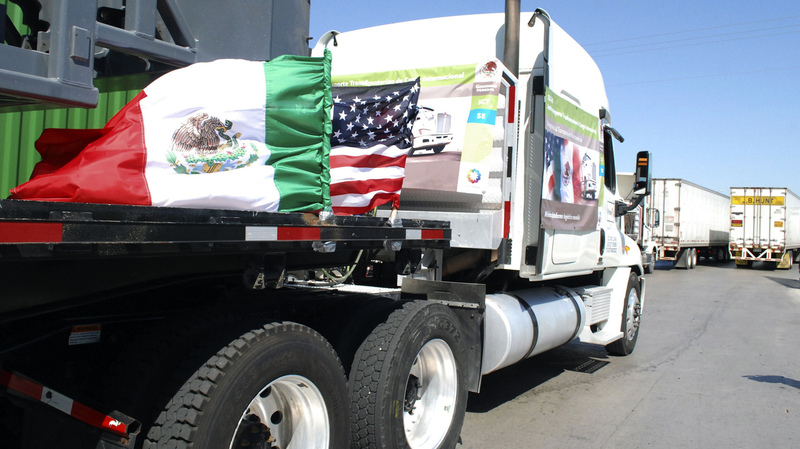 Mexico has agreed to update NAFTA to address aspects that did not exist when the treaty was signed, such as e-commerce, but not to review tariffs and export quotas, which Trump would need to slow Mexican imports. US renegotiation or withdrawal from NAFTA is unlikely to occur in 2017. Trump needs authorisation from Congress for either move, which is not guaranteed. He may threaten to impose tariffs if his demands are not met, using any combination of two acts that give him unilateral presidential authority and a third that requires Congressional approval after 150 days. 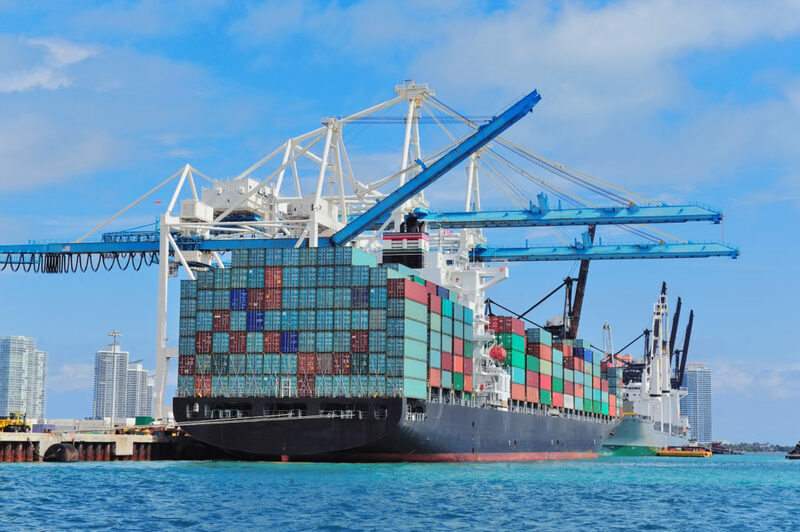 Yet the tariffs would almost certainly invite retaliation from the affected countries, which could prove financially devastating to Americans without any clear benefits from greater employment – at least not before the next election. If Trump takes this route in 2017 – a virtual unknown – he will be gambling with his re-election. In a related area, the Obama administration has eased trade restrictions against Cuba – restrictions that Trump has threatened to put back in place unless the Cuban regime meets the administration’s demands on political freedom. Sanctions applied to Venezuela, which Obama extended in 2016, may also be tightened by Trump, who has been critical of the ruling socialists. Both policies enjoy broad support but Trump’s unpredictability makes it impossible to know if he will carry out his threats. – There is the possibility that President-elect Donald Trump will be impeached due to conflicts of interest between his business empire and presidential duties. However, this is unlikely to occur under the Republican-dominated 115th Congress. – Brazil’s President Michel Temer may face impeachment in 2017 as he confronts threats from the leftist opposition, which seeks to embroil him in the country’s wide-ranging corruption scandal. – Venezuela’s President Maduro may be ousted from power. This would be unexpected as the army is aligned with the government and million-strong protests have yet to achieve this outcome. Nevertheless, as the economic and political situation in the country continues to deteriorate in 2017, a crisis point becomes increasingly likely. – A political crisis in Bolivia, sparked by President Evo Morales’ decision to run for a third term despite the constitution restricting him to two, could cause widespread social and economic disruption. However, as the election is not scheduled until 2019, Morales’ candidacy is likely to trigger only protests in 2017. Morales’ resignation, in order to circumvent the constitutional limitations, should also be expected in 2018 rather than 2017.